To take down a zombie at a distance without a lot of noise, you need the Zombie Hunter Ninja Throwers. 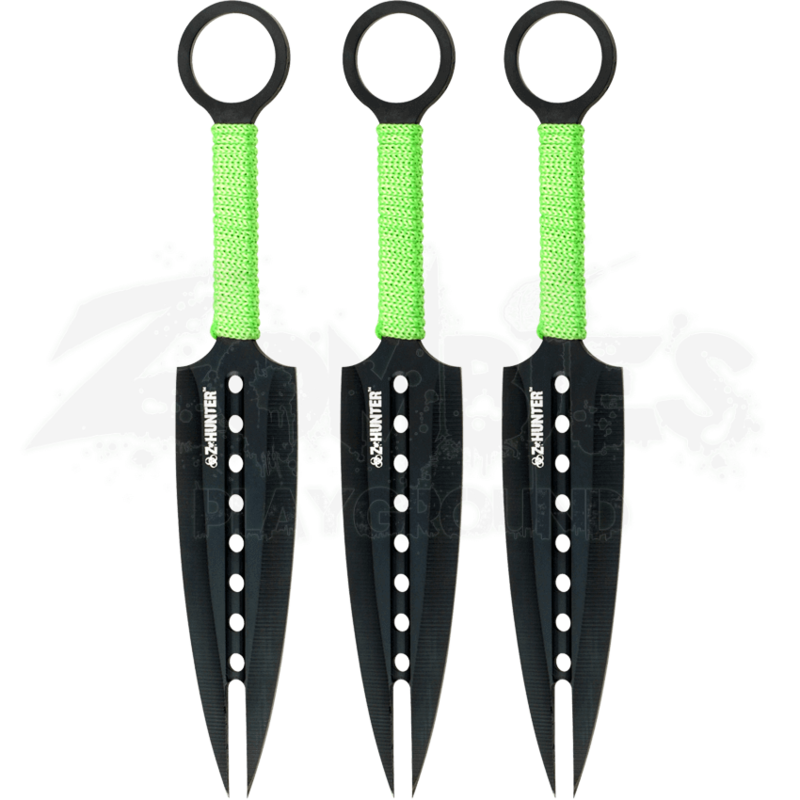 Based on the classic kunai design, this stainless steel knife is balanced toward the blade for accurate throws. The cord wrapped handle has an easy grip. With the ring tip, you can tie a cord to it and recover this precious commodity. This knife comes with a Nylon sheath for safe storage and easy access on the move. 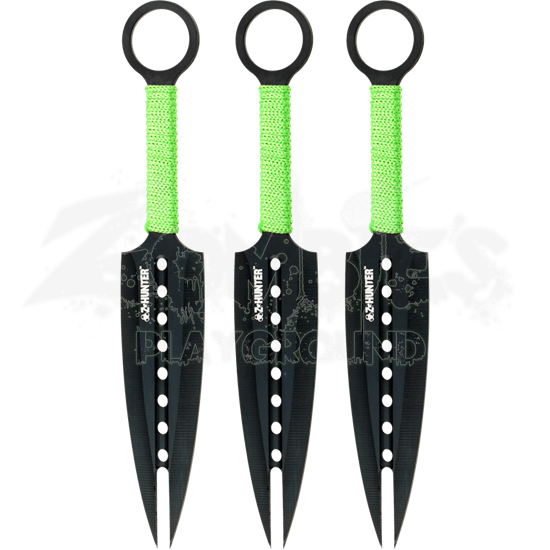 When the zombies rise, you have to be prepared for anything, so get the Zombie Hunter Ninja Throwers and mark one thing off your list.